What’s your desktop Mac doing when you’re not using it? Depending on your settings and usage habits, you could be wasting both power and your own time. We’ve found that some people have out-of-date beliefs about their Macs’ different idle-time states. Let’s set the record straight. First off, every Mac has three basic states: active, sleeping, and shut down. Desktop Macs use the most power when active, of course, and although details vary by model, a 27-inch iMac idles at about 60 watts and maxes out at 240 watts, averaging about 100 watts in regular usage. The Mac Pro is a bit less, since it doesn’t have a screen, and the Mac mini idles at a measly 6 watts and tops out at 85 watts. If you think back to the incandescent light bulb days, you can see that a modern Mac uses roughly the same power as an old-style light bulb. Not bad! However, that 100 watts is huge compared to the trickle of juice that a Mac requires when sleeping—just about 1 watt for most models (the Mac Pro is the most restless sleeper at 2.8 watts). 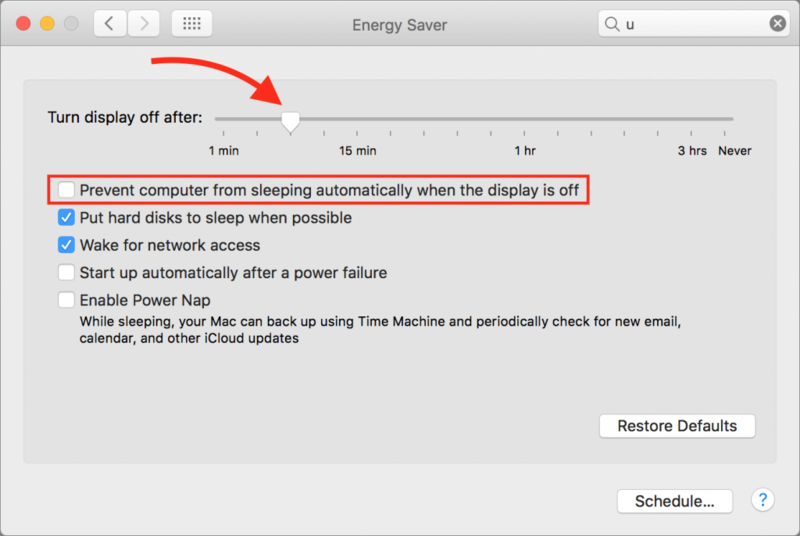 So you can reduce your Mac’s power usage a hundred-fold or more by allowing it to sleep automatically in System Preferences > Energy Saver. The key here is to make sure the first checkbox—“Prevent computer from sleeping automatically when the display is off”—is not selected. It’s also good to set a relatively short time for the “Turn display off after” slider unless you spend a lot of time watching your screensaver or want to make sure the screen doesn’t go black when you’re giving a presentation. 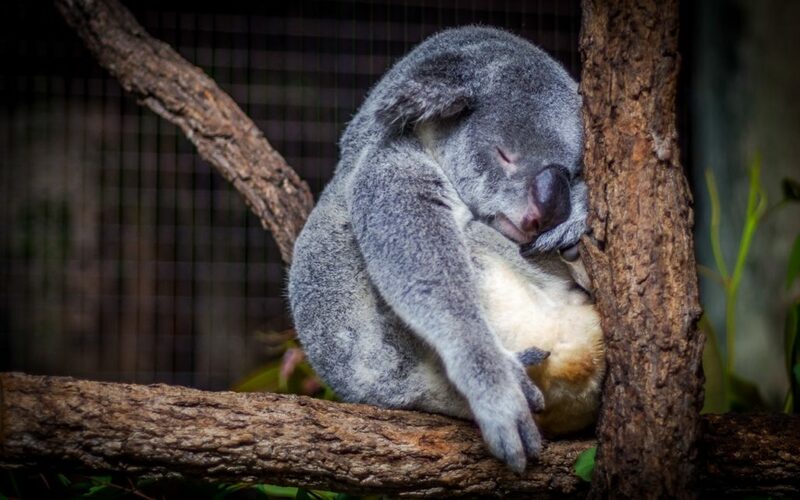 Of course, you can always choose Sleep from the Apple menu, press the Power button for 1.5 seconds, or press Control-Shift-Eject (or Power, if your keyboard has that key) to put your Mac to sleep right away, but, it’s easier to let Energy Saver do it for you. Some people have avoided letting their Macs sleep because of the amount of time it takes for the Mac to wake up and be usable again. That may have been a more significant issue in the distant past, but modern Macs are usually ready for action within a few seconds at most. What about shutting your Mac down? Surely that doesn’t use any power at all. Actually, no. Every Mac uses about .25 watts of power when it’s turned off but still plugged into an outlet. And while it might seem worthwhile to save that .75 watts for when you’re not using your Mac overnight, you have to factor in the extra power that’s wasted while shutting down and starting back up, both of which are power-intensive activities. 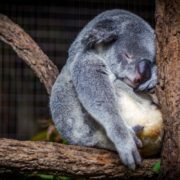 In fact, depending on how many apps have to quit and reload, shutting your Mac down every night may not result in any power savings over sleep. Plus, you’re wasting time while waiting for it to boot up again—especially if you’ve asked macOS to reopen windows on startup—so it’s a double whammy. That said, since an occasional restart can prevent or eliminate funky behavior, consider shutting your Mac down if you’re not planning to use it for a few days, perhaps on weekends. You’ll use a tiny bit less power over the weekend, and the Mac will be fresh and ready to go on Monday morning. That will get you the best combination of reliability, instant access, and power savings.